Vinyl fence removal is a fairly straightforward job. But, it does take a modicum of handyman skill and some common tools to pull off. While you don’t need to have the experience of a seasoned building contractor or carpenter, you will need a little help from a couple of people. This is due to its size and handling the various parts. With some help and a free weekend, you’ll be able to tackle a vinyl fence removal. 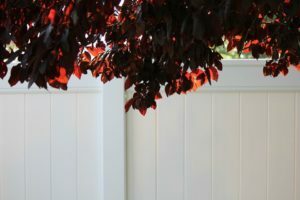 The first course of action with vinyl fence removal is to have a plan ready-to-go with the materials and other debris. Being so large, it’s not like you can just drag it out to the curb for streetside pick up by the local trash collection agency. They won’t pick it up and you might even get hit with a property code violation, to boot. So, do yourself a favor and have a local junk removal service come by to haul it away. Not only will they take away that old vinyl fence, but anything else you don’t want or no longer use. You’ll be free of so much stuff, you’ll have a lot more free space around to use in the future. This makes getting better organized easier. Remove the gate. Start with the gate. Take it off the support posts by unfastening the hinges. (Be sure to keep children and pets inside so they can’t wander off.) Place the gate aside, out-of-the-way. Take the top caps off the posts. If equipped, the vinyl fence might have top caps or a railing system which runs between posts to help secure the panels in place. Take off the top railing, using a drill-driver, screwdriver, or pry bar. Dig up the fence posts, one-by-one. Finish by digging up the support posts. This will take the most work and the longest to do. So, have someone help you out. After you take down vinyl fencing, you can phone phone 800-433-1094 or visit Junk Garbage Removal.